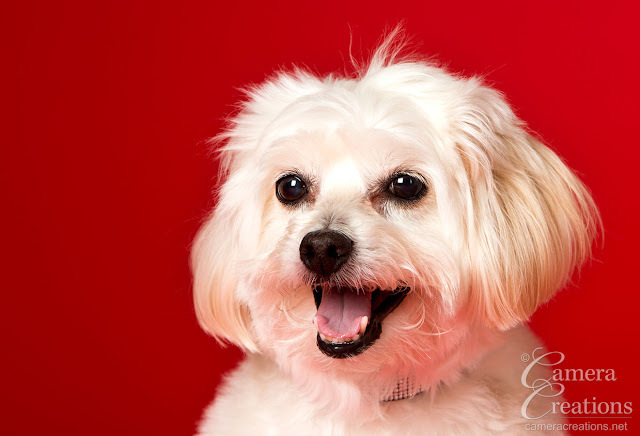 We all love our pets and want them to live forever. 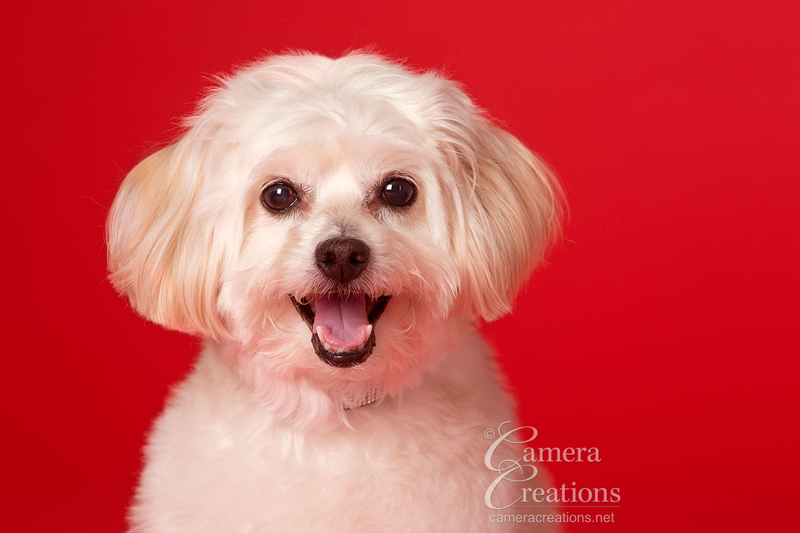 Owners who want to remember their precious fur babies come to my studio, Camera Creations, for pet portrait sessions. 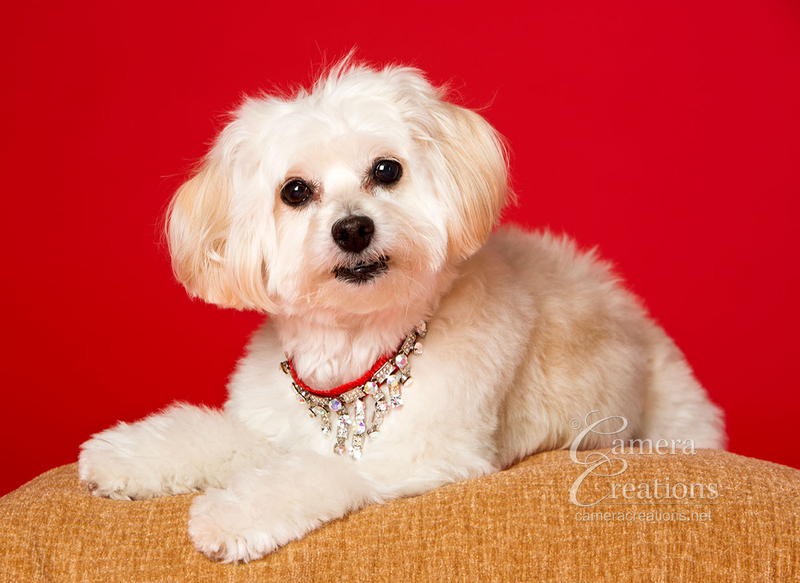 Angie was at my studio for her private session and was a stellar model. 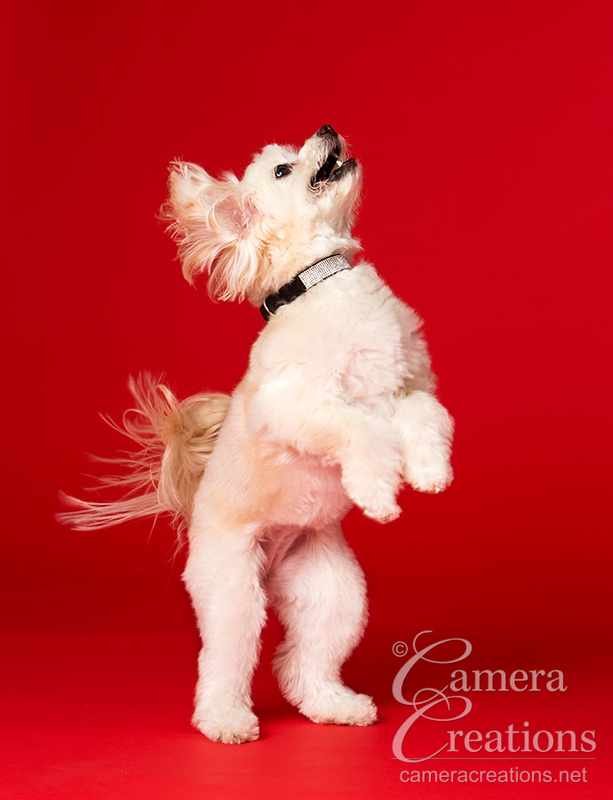 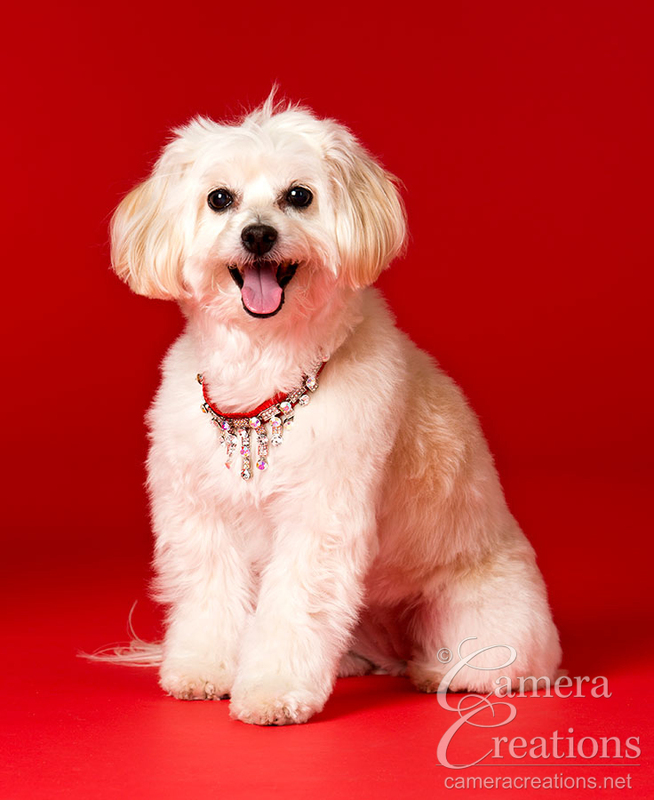 We used some of Lisette Morris' handmade jewelry for dogs for some of Angie's poses. 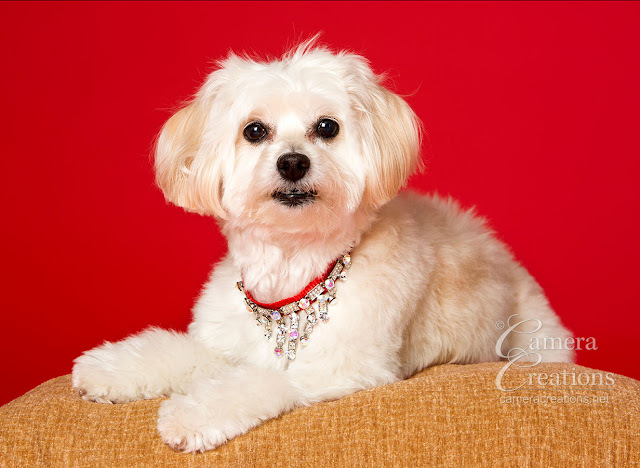 Their moms purchased a beautiful metal monument at 20 x 24 inches and hung it at their real estate office so that their clients can enjoy Angie's blessing of cuteness.